Defence and security company Saab today completed a successful first flight of the next generation smart fighter, Gripen E.
At 10:32 on Thursday June 15, Gripen E took off on its maiden flight, flown by a Saab test pilot. The aircraft (designation 39-8) left from Saab’s airfield in Linköping, Sweden and flew over the eastern parts of Östergötland for 40 minutes. During the flight, the aircraft carried out a number of actions to demonstrate various test criteria including the retracting and extending of the landing gear. “The flight was just as expected, with the aircraft performance matching the experience in our simulations. Its acceleration performance is impressive with smooth handling. Needless to say, I’m very happy to have piloted this maiden flight,” says Marcus Wandt, Experimental Test Pilot, Saab. “Today we have flown this world class fighter aircraft for the first time. We achieved it with the fully qualified software for the revolutionary avionics system. This is about giving our customers a smart fighter system with the future designed in from the start. The flight test activities will continue to build on this achievement with the programme on track to achieve the 2019 delivery schedule to our Swedish and Brazilian customers,” says Jonas Hjelm, Senior Vice President and Head of Saab Business Area Aeronautics. 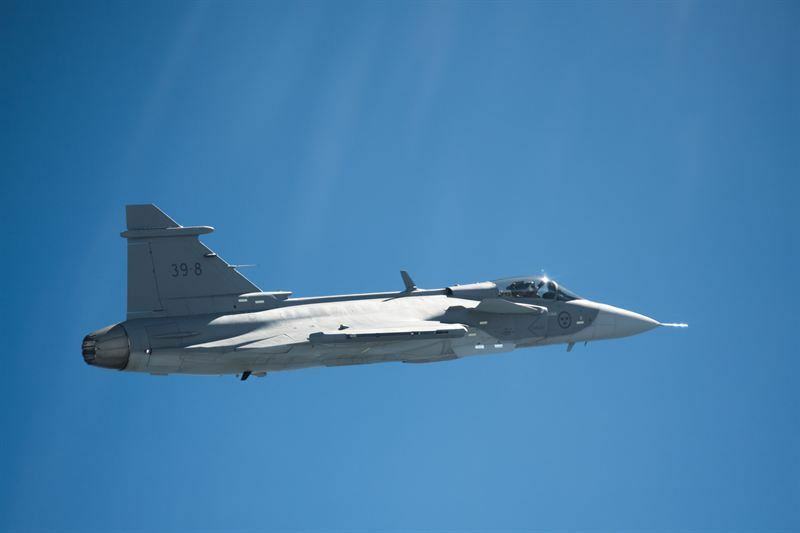 Click here for our latest story on Gripen-E.